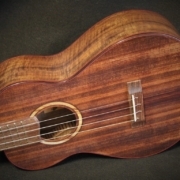 Ric at Hale Ukulele says “I need more”! 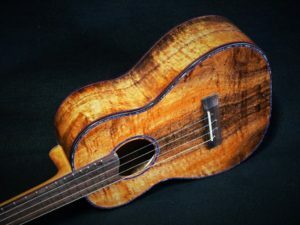 So here’s a Koa Tenor Ukulele ukulele that I built per his request. 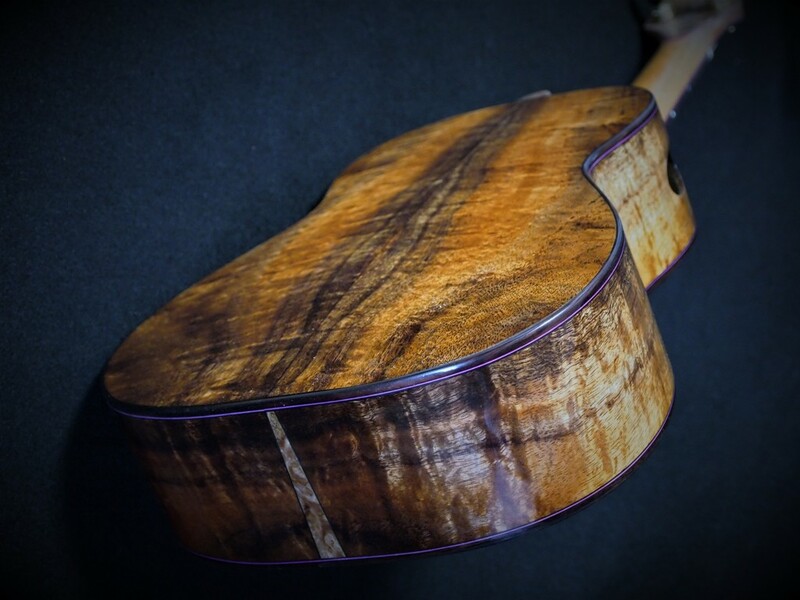 This alternative curl, curly dark Koa has a lot of visuals going for it. I have straight curl Koa in stock but, honestly, I get bored with the look. 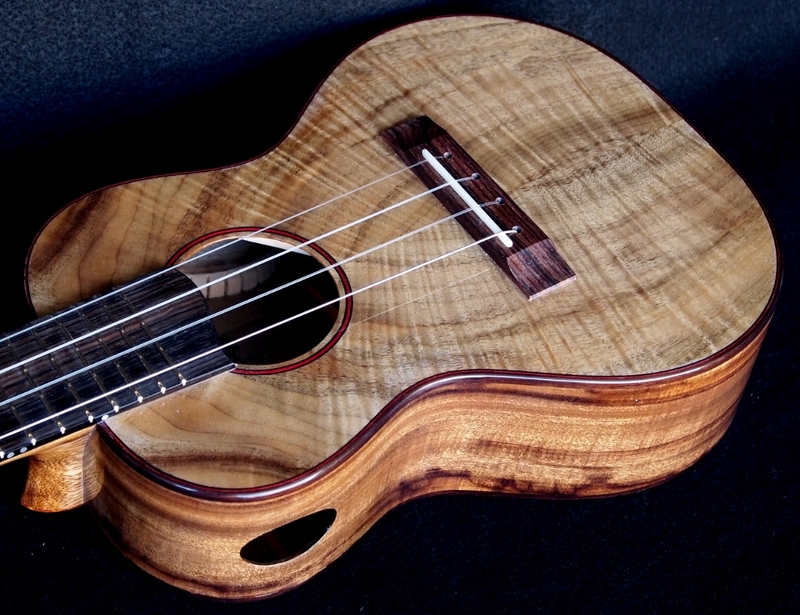 I don’t see this Koa look from the big builders, so I am thinking that they may not find this appearance desireable. 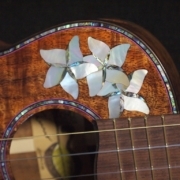 Who know’s? It’s hard not to like every look of Koa wood. 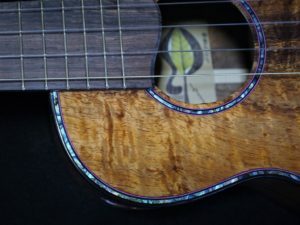 This Koa Tenor Ukulele gets a Honduran Mahogany neck with carbon fiber truss rod, a Macassar Ebony finger board and bridge, Asian Satin Wood burl wood for accents, Paua Abalone purfling and rosette with fuschia/black fiber accent. Ouch, what’s not to like! 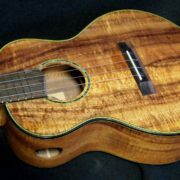 Hope you like alternative curly Koa like I do?